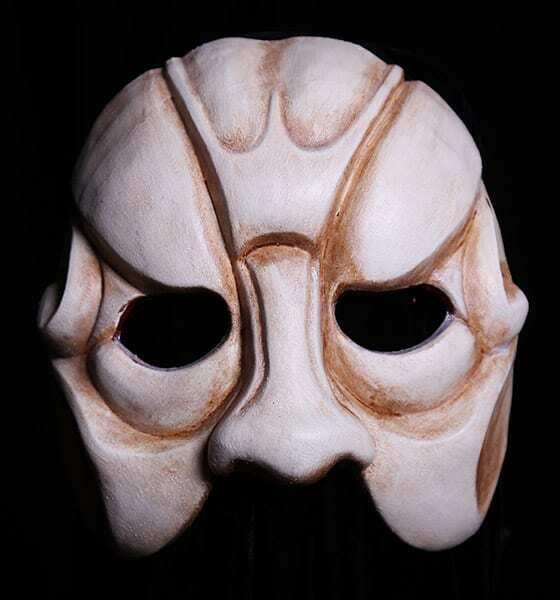 Greek Chorus 1: This Greek Theater mask is apart of a series of masks based on the make-up designs of the Chinese Opera. The masks were designed for the movement classes at Ball State University. This half mask is based in the qualities of aggression, arrogance and desire. Chorus: Look down upon us. See the harrowing woe of all we suffer now. Death breeding death. Confusion and horror. Pity us. We can only do so much.